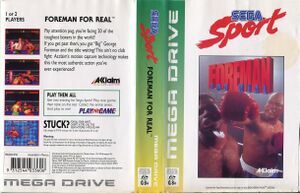 Not to be confused with Sega Sports. Sega Sport is a budget label given to Sega Mega Drive sports games re-released in Australia by Ozisoft towards the end of the console's lifespan. These re-releases are similar to the Sega Gold Collection and Sega Platinum Collection, also released in Australia.